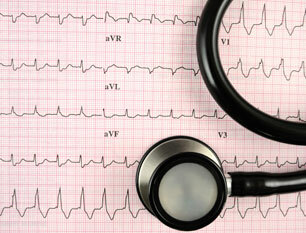 Consultant Cardiologist, Royal Brompton Hospital. 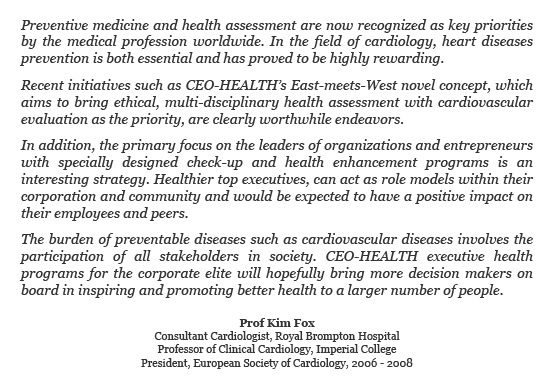 Professor of Clinical Cardiology, Imperial College. 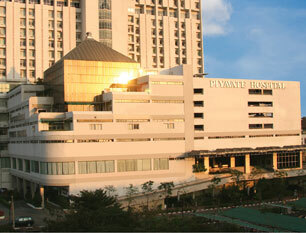 The programs are conducted in Thailand’s renowned medical facilities with the involvement of European centres of excellence and in conjunction with the Centre of Cardiovascular Prevention of Ferrara University, Italy. The program’s notable uniqueness derives from the involvement of an unparalleled specialist team and the possibility of reviews and subsequent recommendations given by European experts. 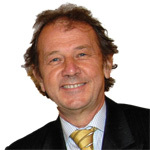 Dr Gerard Lalande, CEO-HEALTH Managing Director, supervises the overall program. Any CEO-HEALTH medical program involves at least 6 physicians, all of whom bring an invaluable level of clinical expertise, ethics and reliability to each individual procedure. The selected specialists hold UK or US board certifications and practice within the partnered medical institutions. The program’s design with regard to the selection of specialist consultations and investigations has as its base a specific focus on the serious and common pathologies found amongst business executives, even at a relatively young age. Physician specialized in Preventive medicine makes the initial general examination and acts as “physician-coordinator” for the whole program. He also supervises the wellness screening of the program. Urologist: performs urologic examinations and provides sexual function counseling.The number one cancer in men is prostate cancer, representing almost one fourth of all cancers in the male. Prostate benign enlargement (called Benign Prostatic Hyperplasia or BPH) is a common urologic disorder in those over 50. For the optimal detection of these 2 frequent illnesses, a thorough prostate exam is required. In any CEO-HEALTH procedure, a urologist (who is a specialized surgeon) performs this exam. Gynecologist: performs gynecological examinations with endo-vaginal echography and thin-prep Pap test with HPV testing. 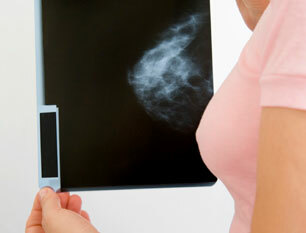 Mammogram and breast echography are also systematically included. ENT specialist: makes ENT exams and interpretation of advanced hearing tests, including audiogram and tympanogram. Ophthalmologist: handles complete ophthalmologic exam, performed before and after dilatation. 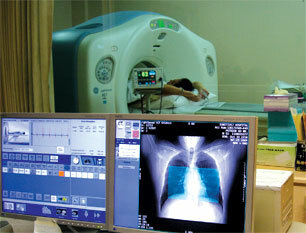 Tests include digital fundus photography and Optical Coherent Tomography. Radiologists: specialized in different imaging sub-specialties, radiologists perform breast diagnostic procedures, abdominal ultra-sound or CT scan examinations as well as non-invasive cardiac investigations. Spirometry (or Pulmonary Function Tests), which is systematically performed in the presence of risk factors for lung diseases. 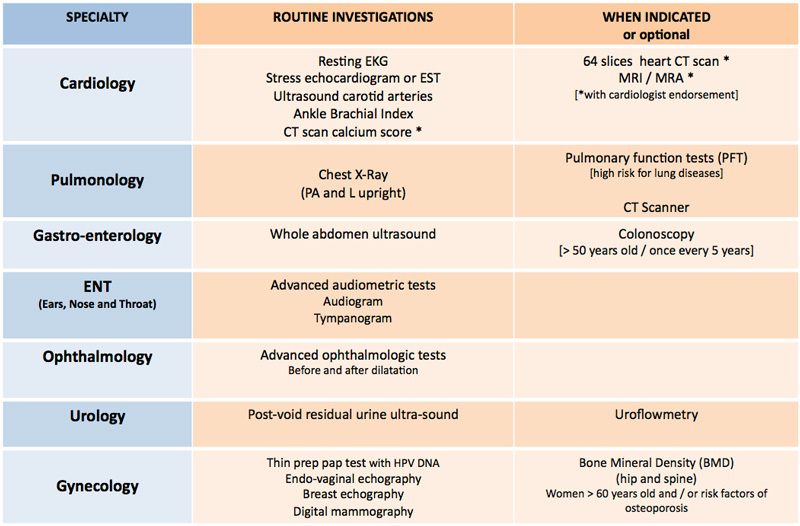 Auto-fluorescence bronchoscopy, a state-of-the-art pulmonary procedure, which is proposed for individuals with a high risk of proximal lung cancer. This very innovative imaging approach aims to diagnose lung cancer at the “in situ” or stage 0, the treatment of which leads to a highly favorable prognosis. Heart 64-slice CT scan [angiogram] and/or MRI may be proposed by the cardiologists, when justified by previous findings. These latter investigations are obviously not included in the initial program. They would be proposed in cases of abnormal findings from the primary programmed investigations and in line with European expert reviews and recommendations. 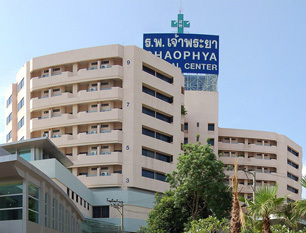 The CEO-HEALTH program is solely organized in centers of excellence at three leading tertiary medical centers in Bangkok: the Piyavate hospital, the Samitivej Sukhumvit hospital and the Chaophya hospital, all conveniently located in Bangkok. There is a pool of more than 800 physicians in these 3 institutions, enabling CEO- HEALTH to select the most appropriate team of specialists to take care of each individual’s medical needs. 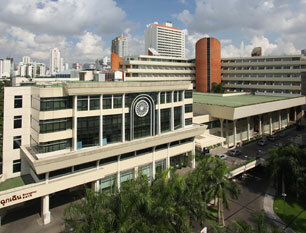 These internationally renowned hospitals have acquired local and international accreditations. When a serious issue is revealed, then additional investigations and / or treatment may have to be initiated. Under these circumstances, the possibility of an additional review with regard to whether subsequent steps need to be taken would be included within the CEO-HEALTH standard program. In cases where cardio-vascular issues are suspected, the preliminary results would immediately be sent to European specialists in teaching hospitals for further review. Their feedback would be available within 12 hours.